ArchiCAD 18 - "Join the Creative Flow"
This cloud-based ArchiCAD-integrated community database collects and provides direct access to tens of thousands of GDL elements in one place. The easily searchable collection continually grows with users', GDL developers' and manufacturers' new elements. BIMcomponents.com helps you obtain trustworthy 3D or 2D elements in the form of parametric GDL objects by bringing the elements directly into your ArchiCAD project library with easy embed and drag & drop methods. Seek community opinion and share your custom objects with a click, widening the available selection. Built-in quality filters, user evaluations, and recommendations result in a high overall object quality. GRAPHISOFT EcoDesigner is now a fully included feature of ArchiCad and is not sold as a seperate add-on as before. EcoDesigner uses a simple, three-step workflow to determine the energy characteristics of the project: Analyze > Calculate > Results. Watch the recording of the “Green” BIM presentation. In addition to the live webinar material, this movie includes several extras, e.g. detailed information on energy calculation result accuracy, post processing of the building geometry etc. . . . . read more on Sustainabile Design. The MEP (Mechanical/Electrical/Plumbing) Modeler is an extension to ArchiCAD® 16. Architectural practices and architectural departments of A/E firms using ArchiCAD can use MEP Modeler to create, edit or import 3D MEP networks (ductwork, piping and cable trays) and coordinate them with the ArchiCAD Virtual Building™. The GRAPHISOFT MEP Modeler™ can be used in the BIM Workflow and the 2D Workflow. . . . . read more. 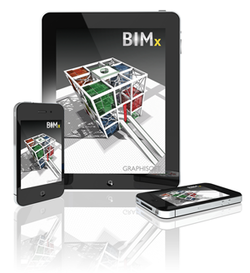 GRAPHISOFT® announced at its North America BIM Conference today the immediate availability of the next generation of its BIMx® app in the Apple App Store. The brand new “BIMx Docs” function pack included in the new version provides access to full BIM projects containing the 2D documentation as well as the 3D model. Advanced “Hyper-model” technology provides full integration of 2D & 3D making navigation more intuitive, smoother and faster than most other construction-related model or documentation viewer mobile apps. . . . . Read on. The GRAPHISOFT BIMx is an innovative, interactive, 3D presentation tool for architects, which sets new standards for design communication and presentation. EXPLORE: BIMx for captivating presentations for clients with it's Real-time 3D navigation & Element information that is accurate and detailed. COMMUNICATE: BIMx provides better project communication with several interactive model display options and live sun- and camera controls. SHARE: BIMx gives you interactive consultation with clients or consultants, each at different locations. . . . . read more. The perfect solution for you! 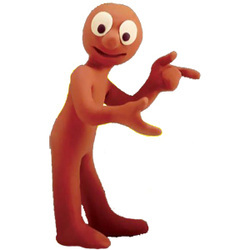 Your start in BIM. BIMStart is a suite of software solution options combining high quality Architectural, Rendering, Engineering & Cost Estimation features . . . . read more. See the all new ArchiCAD Add-Ons page. This page lists products with which you can extend the functionality of your standard ArchiCAD software package. 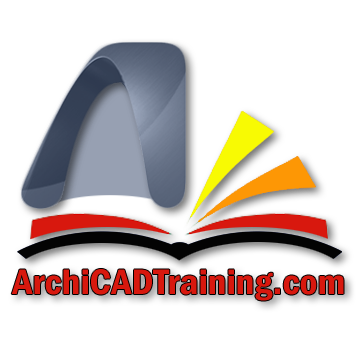 get all the ArchiCad Goodies: CLICK HERE to go to the download page. 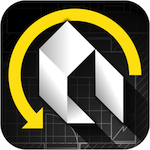 Bug fixes for ArchiCAD are distributed through ArchiCAD Hotfixes and Library Hotfixes. To keep your software performing at optmal level, visit this page regularly to keep your software updated to the latest build of your version. 1) Ensure that your ArchiCad Dongle is connected to a USB port on your computer. 2) Go to: https://www.upgrade.graphisoft.com and select the Dongle type you want to upgrade. 3) Select your dongle number from the site display and click on "Upgrade"
CINEMA 4D Release 16, the next generation of MAXON’s highly-acclaimed professional 3D software application. CINEMA 4D is a professional 3D software package offering everything needed to create high-end 3D images and animations for film, broadcast, architecture, games, multimedia, design and engineering. Continuing a two-decade tradition of excellence, CINEMA 4D offers spectacular image quality and an intuitive, easy-to-use interface that puts professional results within reach of artists at all levels of CGI experience. CINEMA 4D delivers speed and productivity by taking advantage of the latest advances in processor technology, and offers configurations tailored to the distinct needs of specialised 3D markets. . . . . read more. Artlantis is the fastest, stand-alone rendering application developed especially for architects and designers. Available in two main versions, Artlantis offers a product line suited to different needs and practices. Artlantis Render is designed more for those who seek very high quality rendering (architects, interior designers, urban planners, landscapers, exhibition organizers, exhibitors, etc.). Artlantis Studio, on the other hand, is the ideal tool for anyone who wants very high resolution rendering not only for images, but for QuickTime VR Panoramas, Objects and animations as well. A recognized leader in preview window technology, Artlantis is the rendering software used by architects, designers and urban design professionals in more than 80 countries. . . . . read more. Cost Estimating is the most important procedure of a company. Everything, from business survival to rapid expansion and increased profitability depend on the way a company prepares their estimates. Our product CostOS™ Estimating has been specifically designed to become the everyday tool of the Cost Estimator. Our gnomon is the fact that the estimators should be able to easily spend a substantial time of their working hours over our systems and being effective and accurate. Nomitech offers solutions for estimators whether their need is to price small projects on a stand alone PC or parts of a huge projects while being connected to the internet and share information with other Enterprise estimators in different countries. The three different versions of our product CostOS Estimating Standard, Professional and Enterprise Edition can fulfil all Cost Estimating needs. Nomitech is the first company to offer online cost databases, via web services to further enhance your productivity & profitability. . . . . read more. is crucial that you choose the one that is the best solution for YOU? The software integration requirements for your company's project profile and workflow. The production team's skill level & training requirements for your company. The hardware requirements for your company if needed. Total cost analysis and implementation plan. 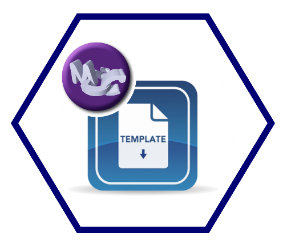 Guidance on template development for best practice & productivity gain. 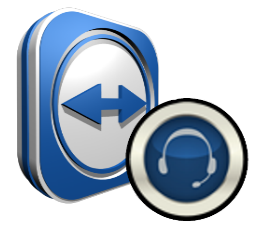 A support strategy to ensure a speedy and smooth transition for your company and staff. Please use the form below to continue this conversation towards your needs & solutions. ArchiCad EcoDesigner MEP Modeler BIMx Explorer ArchiCad Start Edition 2012 MAXON Cinema 4D Abvent Artlantis Strusoft VIP-Energy / FEM-Design Nomitech CostOS Please help me choose?